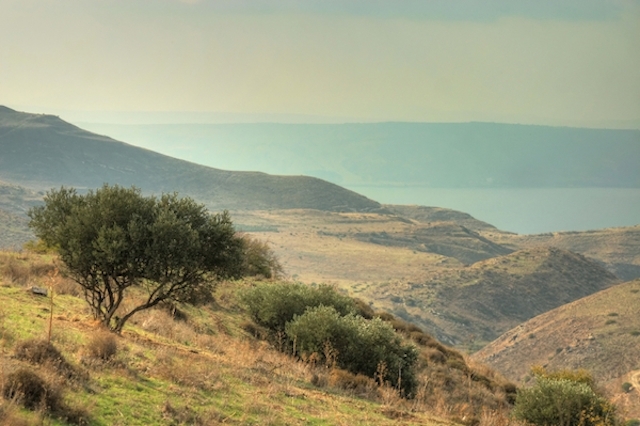 In the Bible, possession of the Land of Israel is tied to moral behavior. The point of departure for an understanding of [Israel’s significance in the Bible] is that the tribes were united as a nation, on the basis of the Torah’s covenant, prior to their arrival in the Land. In the Bible the land is less often called the Land of Israel than it is named after the Canaanites and the other peoples dispossessed by the Israelites. The Land of Israel is perceived as the promised land, the acquisition of which involves a moral and religious problem and to the possession of which a moral condition applies. The previous inhabitants of the Land lost their right to it because of their sins, and the Israelite tribes will continue to reside in the Land only if they will be just. As a consequence of the problem and condition attached to the acquisition and possession of the Land, it acquired a special role and assumed a special character. Even as the basis of the nation’s material existence it symbolizes a religious destiny. It is the holy land, and only in it will the nation achieve a worthiness such that the Lord will dwell in its midst. The Land of Israel is thus the land that was promised as a national homeland, the basis of the nation’s economic weal and state power, but at the same time it symbolize the Torah’s universal moral and religious meaning. These two faces of the Land were meant to he complementary, but in the course of the nation’s history they were often in contention. Among the main expressions of the dual character of the relationship to the Land are the commandments that “depend on the land,” that is, that can be observed only in the Land: the laws of the sabbatical and jubilee years, the tithes and offerings to the priests, and the laws of the harvest that guaranteed that shares be left over for the poor. These commandments depend on the Land not only in that they apply to the nation when the nation is in its land, but also because they are concrete applications of the moral and religious condition on which possession of the Land depends. The idea underlying these commandments is that the nation is not the absolute owner of its land. The Land is God’s, who created it, God makes the Land available to the people so that they may live there justly, without powerful individuals or groups becoming masters of it, lording over all. The land is sanctified by moral possession of it. In addition to these commandments, there are ritual commandments specific to the Land of Israel and Jerusalem. God may be worshiped by bringing sacrifices only to the Temple, which is the symbol that God dwells among His people. God reigns over His people in His land and is their leader; therefore, when the Temple is destroyed and the nation is not in its land, God cannot be worshiped in full nor can there be Jewish kingship. A fanatically exclusive attitude was shaped as a result: A legitimate Jewish kingdom is possible only in the Land of Israel and only when the Temple exists it Jerusalem, and only there and then is it possible to live a fully realized Jewish way of life in keeping with the Torah. For that reason it is said of a Jew who lives among the Gentiles that “he is like one who has no God” (Babylonian Talmud, Ketubot 110b). What is there about this land in particular for it to be made the homeland of the chosen people? The Bible sings the praises of the land’s abundance and its beauty, but there is nothing religious in that. A theological dimension appears in the Book of Deuteronomy, where a point is made about the difference between Egypt, which drinks river water, and the Land of Israel, which drinks rainwater. Rainfall is a symbol of divine providence. Furthermore, according to the biblical stories, in the great riverine countries a nation’s sense of ownership of its land and mastery of its destiny is reinforced, lead­ing to the development of tyrannical regimes and slavery. In lands that drink rainwater, on the other hand, man constantly senses his dependence on God, and for that reason such a land will sustain a regime of justice free of subjugation. Rainfall is perceived in the Bible as a means for the edifi­cation of the people. This is most pronounced in the early prophets, and above all in the story of Elijah and the prophets of Baal. We learn from that story that the dependence on rain is a form of trial. There is a great temptation to use pagan magic to ensure that rain falls, but that defiles the land and it then vomits up its inhabitants; it was, in fact, the source of the Canaanites’ sin. The people of Israel must learn that only by observing God’s commandments can they dwell in their land and enjoy its bounty. Later in Prophets (the section of the Bible that comes between Torah and Ketuvim/Writings) we find a somewhat different variant of this theme. The land is located between the great river powers (Egypt, Babylonia) and between the desert and the sea. It is a middle land. It attracts all nations and is a pawn in the hands of the powers who fight for world dominion. Those who live in the land are tempted to take part in the struggle between the powers as a way to aggrandize power for themselves. But the only way to live in the Land peacefully and to bring a vision of peace to the world is by refraining from participation in those pagan power struggles and by liv­ing a life of justice and truth in accordance with the Torah. In a word, then, the nature and status of this land embodies the conditions of the covenant made between the nation and God as expressed in the Torah. Reprinted with permission of The Gale Group from Contemporary Jewish Religious Thought, edited by Arthur A. Cohen and Paul Mendes-Flohr.